How do I add users or domains to my Safe and Blocked senders list in Office365/Exchange Online? Step 1) Login to Office 365/Exchange Online. Step 2) Click on the gear icon in the upper-right of the screen and then click on 'Options' in the list. Step 3) On the left side of the screen, click on expand 'Mail', then expand 'Accounts' and click on 'Block or allow'. 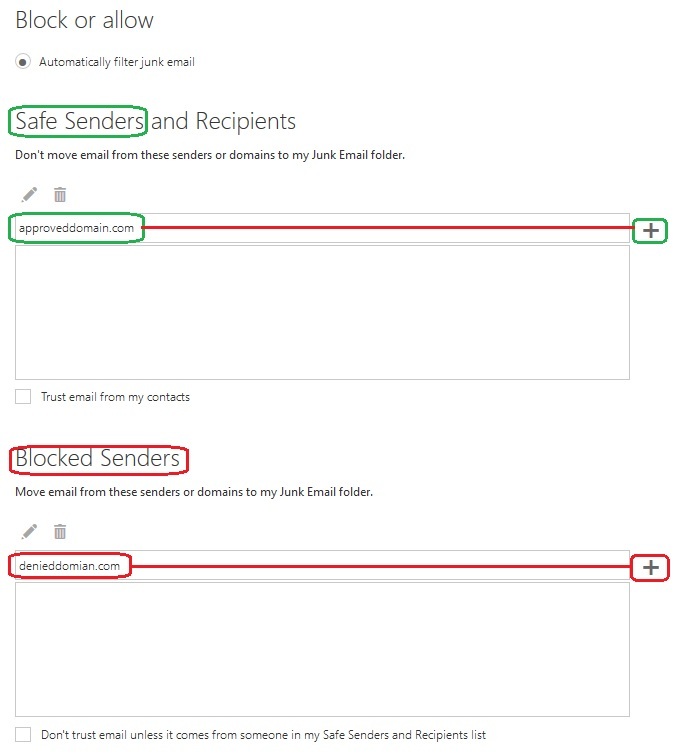 Step 4) Add the email or domain to either Safe Senders or Blocked Senders and then click the + sign to the right to save.